Overview: The Banjar are an indigenous people inhabiting the coastal regions of South Kalimantan, the Indonesian portion of the island of Borneo. 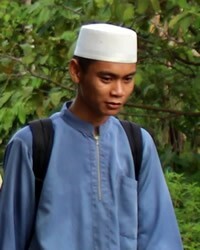 Ethnically, the Banjar are Malay who migrated from Sumatra to Borneo around 400 AD. In addition to the Banjar, this people cluster encompasses several Dayak peoples who inhabited parts of Borneo as early as 1,000 BC.